This upper is made from a full-grain leather that has been struck through with marbling that we call CamoHide. Because it is struck through the camo marbling will not fade or rub off. 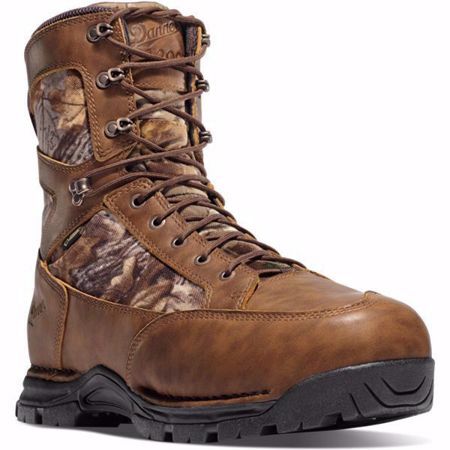 This fourth generation outsole is extremely rugged and responds well in diverse terrain. It provides better grip and fits seamlessly into the Pronghorn’s streamlined, lower profile design. Provides exceptional support and stability without the traditional weight. We softened up the collar, constructed the footbed of lighter weight, more breathable material, and added pull loops and semi-locking laces for a secure fit. This athletic fit of our DPH-1 last offers great heel capture and an anatomical forefoot that gives more room in the toe box. Fits true to size.